Do you ever find yourself in the middle of a workday, daydreaming about an island with white sands and turquoise waters? Chances are you’re probably fantasizing about somewhere identical to Kalanggaman Island in the Philippines. This place is a postcard come to life. It’s actually difficult to describe without using all the typical island cliches, because honestly they just apply so well: clear turquoise waters abutting soft white beaches lined with swaying palm trees. Seriously, it’s nothing short of paradise. Kalanggaman Island is not only a phenomenal beach, but it’s super secluded and amazingly untouched. It’s everything you want out of places like Maya Beach in Thailand or Cancun in Mexico. These places are gorgeous, yes, but the overrun of tourism spoils the natural beauty. Maya Beach, for example, is touted as one of the most beautiful islands in the world. Pinterest photos show deserted sands with towering limestone cliffs jutting out of the green water. What they don’t show you is the influx of boats filled with tourists who ruin any shot of the picturesque view you were expecting. Every traveler has experienced this situation and it can be really disappointing! But fear not fellow travelers! Kalanggaman Island is just as pristine in person as in photos. In fact, none of the photos included in this article have been edited. That’s right, the water is actually that color. The Philippines have made a conscious effort to preserve the stunning natural beauty of this island. After spending a month hopping around the touristy islands of Thailand, it’s refreshing to see a restraint in over-development. Forget high rise hotels and resorts, if you want to spend the night on Kalanggaman Island you’ll be spending it in the luxury of your tent. You won’t find any over-priced restaurants or bars selling cold beer at twice the normal price. Instead barbecues and picnic tables are available to snack on any food you’ve brought over, and sometimes fishermen sell their fresh catch for grilling up. The island is tiny, running just over 700 meters, with two long sandbars that span out far into the sea. These sandbars are some of the longest you’ll find in a country made up of over 7,000 islands, so that’s seriously saying something. In fact the name Kalanggaman comes from the local Cebuano language meaning ‘birds’ because the two arched sandbars make the island like the wingspan of a bird from above. On one side of the ocean the water is shallow and calm. Perfect for swimming or laying lazily stretched out for a cool dip. The other side is lined with large rocks, creating rough waves in the deep blue water. Some of the activities you can enjoy include taking a kayak out for a lap of the ocean or gliding across the ocean’s smooth surface on a standup paddle board. The calm clear water creates the perfect opportunity for snorkeling. Or enjoy our favorite activity, kicking back on the sand with a good book. If you get out to the island at the right time in the morning or evening there’s also the chance to spot dolphins! Kalanggaman is located just off the coast of Palampon, in Eastern Leyte. Both Cebu and Tacloban have international airports, so you’ll be able to arrange transport once you arrive in either of those cities. As for the island, only a limited amount of people are allowed to visit per day, so it’s best to call ahead to the Ecotours Office in Palampon to make a reservation, especially in the high season. Once you’ve got your tickets it’s about a one hour boat ride from the beautiful city of Palampon. There are really limited options as far as what’s available to buy on the island, so it’s best to bring pretty much everything you think you’ll need in terms of food, water and supplies. If you’re staying overnight you’ll all need supplis for a fire, shelter, etc. If you’re still unsure of what to pack, check with the Ecotours Office for some handy advice. There is a cost for entering the island for the day. International tourists have to pay 500 pesos (about 11USD/10EUR), which may seem a bit steep for an island, but it’s totally worth it! Staying overnight costs 750PHP (includes your day pass), and if you’ve got a solid crew together this would definitely be the place to come and have a wicked beach sleepover. Have you been to this island paradise? Anything to add to the Kalanggaman Island Travel Guide? Drop us a comment below or find us on Facebook and Twitter! Special thanks to our friends at the Department of Tourism, the Province of Leyte and all the local governments for hosting us on this awesome trip! 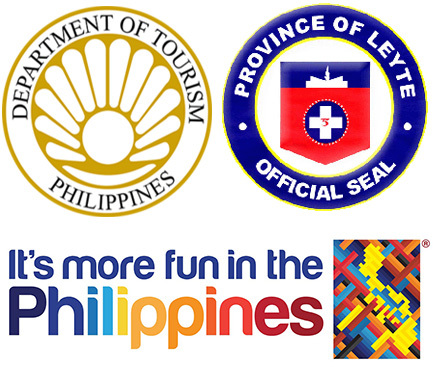 It really is more fun in the Philippines! I had never even heard of Kalanggaman before reading this. It sounds like paradise and it’s just another reminder of all of the amazing, unheard of destinations in the Philippines. I can’t wait to be back in the Philippines in July. I’ll only be going to Manila and Boracay, since it’s more of a detour trip. Someday I hope to be able to explore more of the country. There’s just so much! Kalanggaman Island is an amazing place, that we’d never heard of either. The longer we’re in the Philippines the more we’re discovering these types of places. It’s so much fun! If you get the time, throw it on the list! We’ll still be here in July, so if you’re around Manila give us a shout 🙂 Have a great trip! Yep, definitely added to my itinerary for the Philippines! Add it to a long list! There are just too many things! Hey, you came here to the Philippines! It’s so great to know that you’ve had an awesome time. To be honest, I didn’t even know Kalanggaman Island before this post. Haha! But when I read the title, I said, hey, this sounds like Filipino. You know, it’s good that you were able to visit a hidden beach in the Philippines because they are the most beautiful ones. The popular ones are beautiful too but they kind of get a little too crowded. Yes we made it the Philippines and we’re loving it here! Kalanggaman was a very special place. We can’t wait to explore even more! We’ve heard some of the over-touristy ones are getting destroyed (like Boracay), which is disappointing. Lucky the Philippines has over 7,000 islands to choose from haha! how much u paid for boat?